Fast-forward more than 150 years to the upcoming American Geophysical Union (AGU) fall meeting, where scientists affiliated with the National Science Foundation (NSF) Center for Dark Energy Biosphere Investigations (C-DEBI) will discuss recent progress in understanding what Verne only envisioned: life beneath the seafloor. The meeting will be held in Washington, D.C., from Dec. 10 to 14. Researchers affiliated with C-DEBI, one of 12 NSF Science and Technology Centers, are supported by NSF’s Division of Ocean Sciences. The scientists are working to understand the nature of subseafloor microbial communities and whether these communities are unique. They’re also researching where microbes in ocean crust come from and whether these microbes can provide clues about where to look for life on other planets. Once considered a barren plain, the seafloor and the crust beneath it are humming with microbial life or, as researchers refer to it, “dark energy.” Subseafloor bacteria not only exist, they’re more abundant and diverse than previously thought. The bacteria “feed” on the planet’s ocean crust, posing questions about ocean chemistry and the co-evolution of Earth and life. 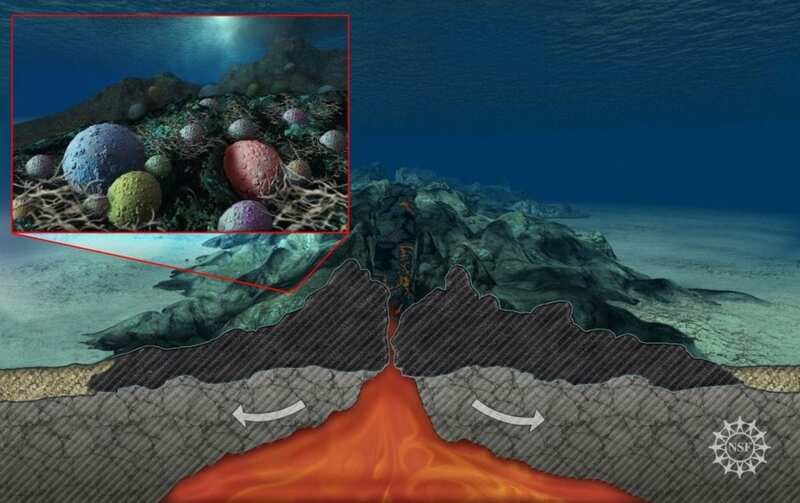 While scientists have estimated that microbes living in deep ocean sediments may represent as much as one-third of Earth’s total biomass, the habitable part of the ocean crust may be 10 times as great. Though dark environments once appeared to offer little energy for sustaining life, the abundance of microbes discovered in the subseafloor is causing scientists to wonder how long life may have thrived there – and what percent of Earth’s biosphere it ultimately makes up. 8:00 a.m. – 12:20 p.m.
10:20 a.m. – 12:20 p.m.
1:40 p.m. – 6:00 p.m.
1:40 p.m. – 3:40 p.m.
Are suicidal thoughts, attempts more likely in people with eczema?